Christ Church is committed to serving God and seeking his kingdom in the local community and beyond. Members of the church are involved in a wide range of community groups, from local resident and tenant associations to local, national and international charities. The church specifically supports a number of organisations through donations, as part of its commitment as a church to give as its receives, as well as encouraging individuals to be involved in prayer and practical involvement. 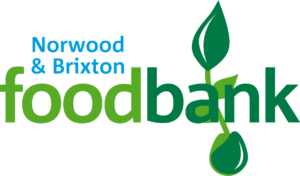 Norwood and Brixton Foodbank is run in partnership with local churches, led by St Luke's Church, West Norwood, to meet the need for emergency food within the local community. Food is donated by schools, churches, businesses and individuals and prepared into food parcels ready to be given to people in need. Care professionals identify people in crisis and issue them with a foodbank voucher which can then be redeemed for three days emergency food. To find out more, donate or volunteer please visit www.norwoodbrixton.foodbank.org.uk. Spinnaker Trust is a Christian Charity supporting primary schools with assemblies and RE lessons, establishing a warm and professional relationship with the headteacher and staff in each school. Spinnaker has grown steadily since it was established in 1986 and now provides a programme that supports Religious Education and collective worship in assemblies with links with around 90 primary schools in South London and the South East. For more see www.spinnaker.org.uk. XLP is about creating positive futures for young people growing up on deprived inner city estates, struggling daily with issues such as family breakdown, poverty, unemployment and educational failure, and living in areas that experience high levels of anti-social behaviour, criminality and gang activity. Every year XLP helps thousands of them recognise their full potential. In 2015, Christ Church supported XLP as they began working in Lambeth and the team is now working with young people at a number of schools and estates in the Borough. For more see www.xlp.org.uk. TearFund is a leading relief and development charity, working in partnership with Christian agencies and churches worldwide to tackle the causes and effects of poverty. They are recognised for their professional expertise in development, disaster response, disaster risk reduction and advocacy. Core to their Christian values is the belief that aid must be given regardless of race, religion, nationality or gender, and that it will never be used to further a particular political or religious standpoint and the principle that helping communities in need is central to the purpose of local churches, wherever they are. More information is available at www.tearfund.org. CMS is an Anglican mission society which was founded over 150 years ago out of the campaign to abolish the slave trade. It is now committed to building communities around the world where the gospel of Jesus Christ can be made known in word and deed. Operating in Africa, Asia, Europe and Latin America, CMS also have a significant number of missionaries working in the UK. Their work is wide ranging, from drug rehabilitation work in the Ukraine through working with young people in South Sudan to HIV work in India. More information on CMS and opportunities to participate in their work is available at http://churchmissionsociety.org. CSW is a Christian organisation working for religious freedom through advocacy and human rights, in the pursuit of justice. Their primary work is advocacy, which they use to influence the legislation, policies, attitudes and behaviours which reinforce religious discrimination and persecution. Through this, they aim to bring about lasting cultural, social and political change. CSW's reports are widely used and cited by the Foreign Office, US State Department, US Commission on International Religious Freedom, UN and others on a regular basis. CSW also aims to mobilise the general public to pray, protest and provide on behalf of persecuted Christians. By doing so, they provide solidarity and support to those in need. For more information see www.csw.org.uk.